Ideal homes where one can enjoy peace of mind and a great lifestyle! A perfect combination of sophisticated and contemporary living, Mantri Manyata Lithos is a luxury residential apartment project, perfect for the mid-segment buyers looking for an ideal home.The project that sprawls across 10 acres of prime land, houses elegant high-rise towers which contain 2 and 3BHK apartments and penthouses.The area of these spacious and inviting apartments ranges from 1355 sq. ft. to 3220 sq. ft.
A whopping 4 acres of land are reserved for a green zone. The plush amenities which supersede anyone’s wish list includes a clubhouse, gymnasium and a play-area for kids. For the fitness lovers are numerous sports facilities. To make life comfortable are 24-hour water supply, power back-up, multi-layered security system, ample car parking areas, and video surveillance for additional safety. The environmental friendly gated community has rain water harvesting and sewage treatment plants. The RCC framed structure is earthquake resistant for a seismic zone II requirement. 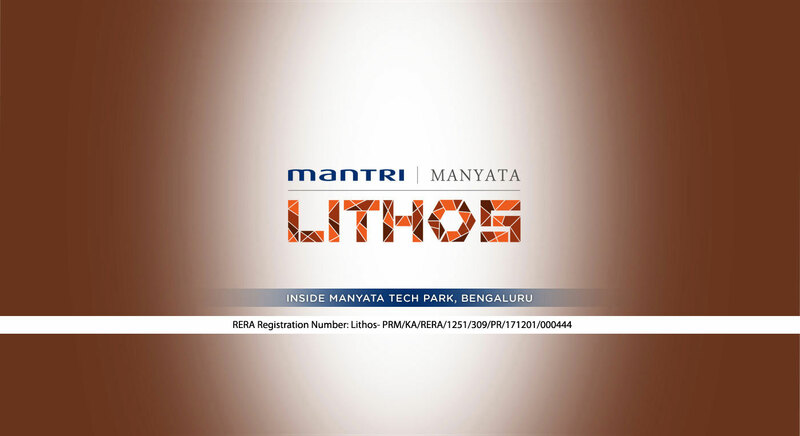 The demand for Mantri Manyata Lithos Bangalore is rising steeply due to its advantageous location. Just a few minutes’ drive are important areas of Bangalore like Manyata Tech Park and Hebbal. M. G. Road and CBD areas are within 8 kilometers. The famous Columbia Asia Hospital is just 3 kilometers from this project. Popular educational institutions, commercial complexes, restaurants, banks, hospitals and malls are in close vicinity. An efficient public transport system is available to make commuting stress-free. Stylish, warm interiors await the residents with high-end specifications for the interiors. Vitrified tile flooring would be used in the foyer, living, dining, kitchen, and the bedrooms, except for the master bedroom which would have laminated wooden flooring. Bathroom fittings would be of high quality (Jaquar or equivalent). 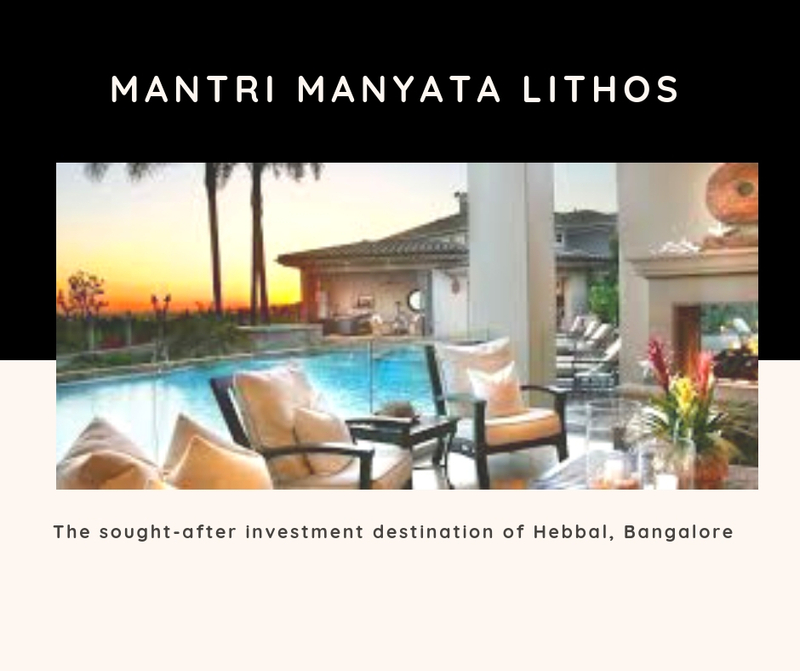 The Mantri Manyata Lithos price ranges between Rs. 86.58 lakhs to Rs. 2.47 crores. Buying these homes is very simple with so many payment plans and home loan options to choose from. These homes would be an optimal choice for not only those wanting to make a prudent investment with high returns but also for those who want an ideal home, where one can enjoy peace of mind and a great lifestyle!